I haven’t seen “The Zero Theorem” – new, apparently. 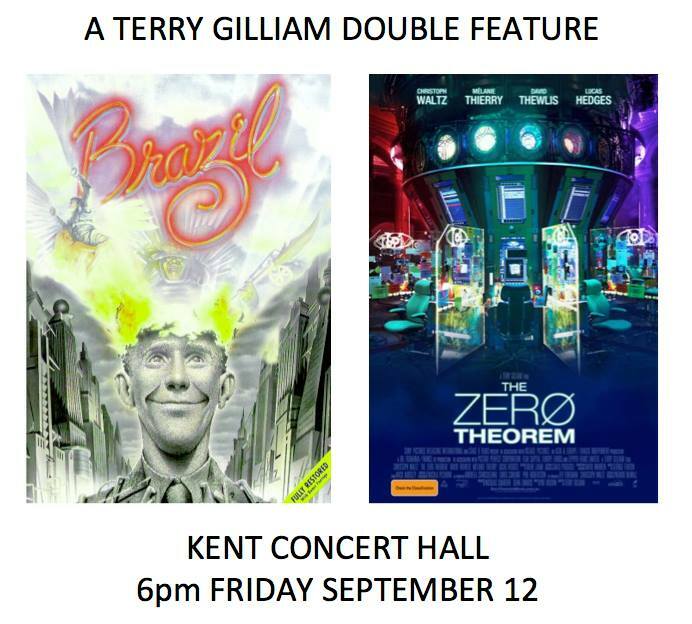 But Terry Gilliam is the greatest of philosophical filmmakers, in my opinion. Catch the double feature if you can! This entry was posted in Uncategorized on September 8, 2014 by Huenemann. NOTE: I JUST LEARNED THAT THIS EVENT HAS BEEN CANCELLED; IT WILL BE RE-SCHEDULED.